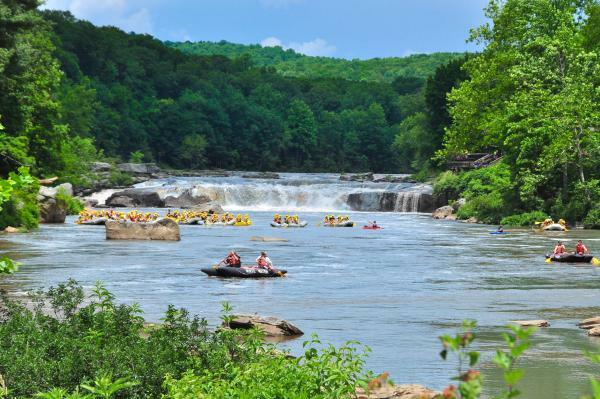 Challenge yourself on some of the best kayaking and whitewater rafting in Pennsylvania. 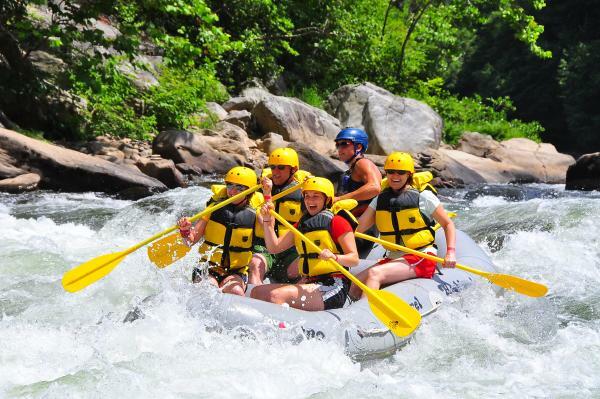 Rafting tours are available on the Lower Yough&apos;s seven and a half miles of Class III to IV waters, an adrenaline-pumping adventure. This day trip packs in the fun on the busiest section of whitewater east of the Mississippi River. River trips aren&apos;t just for the brave and adventurous! 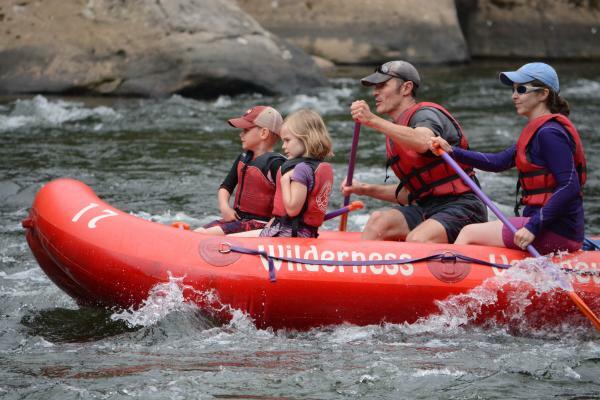 Take a family-friendly river trip on the Middle Yough, which offers nine miles of gentle rapids perfect for a leisurely float. These Class I and II rapids make are ideal for novice kayakers, families with young children and those looking for a relaxing way to cool off. 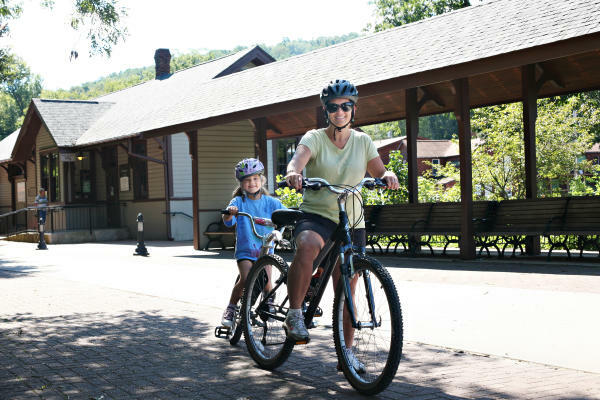 Hop on the Great Allegheny Passage, a 150-mile nearly-level rail-trail, at the Ohiopyle trailhead. Pedal east from Ohiopyle, along the banks of the Youghiogheny River, for a scenic 11-mile ride to Confluence, another charming trail town. Ohiopyle is also home to mountain biking trails for all skill levels. Zip into summer on the Ohiopyle Zip Line Adventure Park by Laurel Highlands River Tours & Outdoor Center. Climbers ages 10 and older can challenge themselves on larger obstacles and a 200-foot zip line, while younger climbers can get acquainted with zip lining on smaller features. 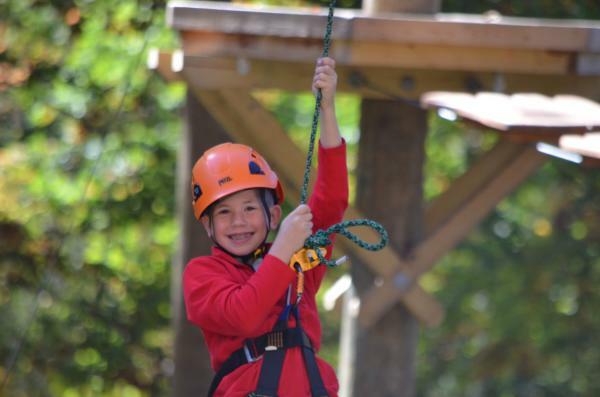 Be sure to check out the other adventurous zip lines and ropes courses in the Laurel Highlands. 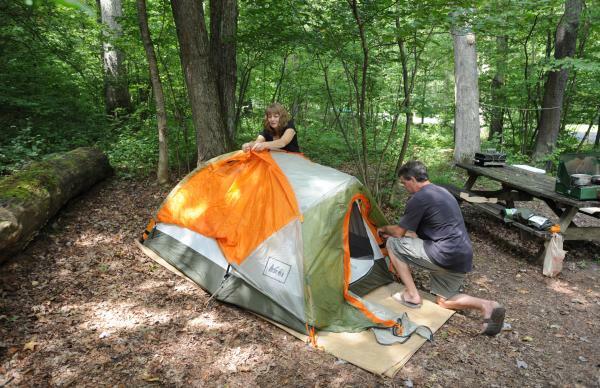 Stay overnight in Ohiopyle at Kentuck Campground, which offers more than 200 campsites. Some sites offer electric hook ups, flush toilets and warm showers. With 27 walk-in sites that require a short hike, you&apos;re sure to find a secluded spot to get away from it all. Rustic cottages and yurts are also available for a unique overnight experience. 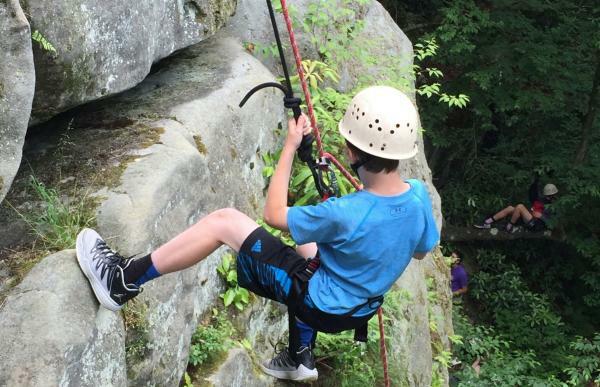 Let the experts show you all you need to know about rock climbing in Ohiopyle State Park! You will learn everything from the basics of climbing knots and belay systems to rappelling techniques and the best locations to climb for your skill level. There are also several spots in Ohiopyle, like the Meadow Run Climbing Area and Bruner Run Climbing Area, that are perfect for seasoned climbers. 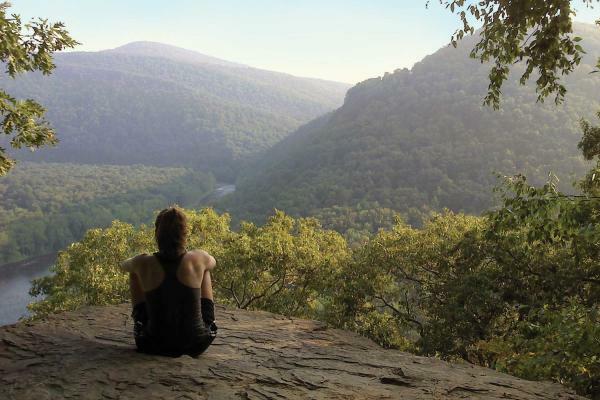 The Laurel Highlands Hiking Trail spreads70 miles from Ohiopyle State Park to Laurel Ridge State Park.The first six miles from the Ohiopyle trailhead lead to an expansive overlook of the Youghiogheny River Gorge. 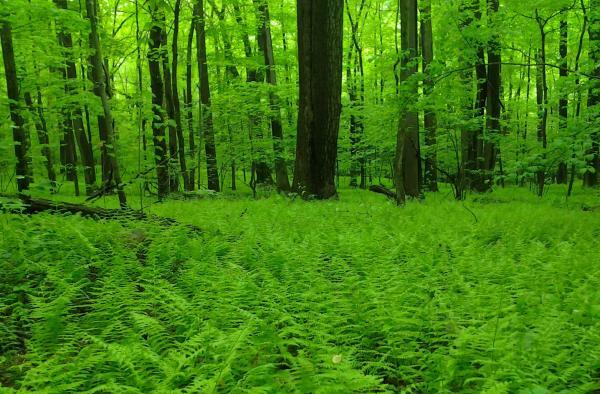 As summer thrives at Ohiopyle State Park, Ferncliff Peninsula, a 100-acre botanical reserve comes to life with lush vegetation. Four trails wind through the natural area, with Ferncliff Trail circling the peninsula, which offers excellent views of the Ohiopyle Falls and whitewater rapids of the Youghiogheny River. In the heart of Ohiopyle, the Ohiopyle Falls stretches the width of the Youghiogheny River. This 20 foot drop is right next to the Laurel Highlands Falls Area Visitor Center, just above the put in for the Lower Yough whitewater rafting. 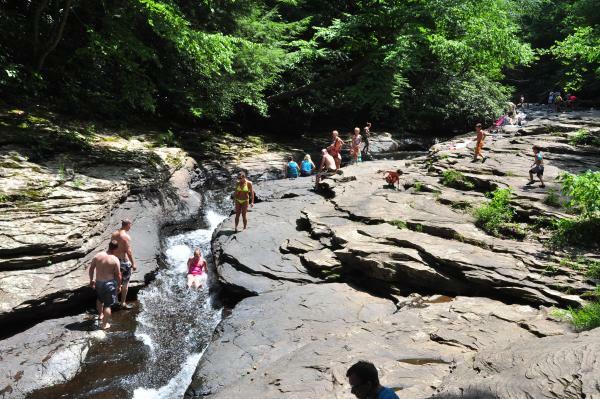 Cool off and have a blast in Ohiopyle&apos;s nature-made water park, two natural waterslides in Meadow Run. Sit in the creek bed and ride the water down these natural tubes. Baughman Rock Overlook offers one of the most jaw-dropping panoramic vistas of the Youghiogheny River Gorge, and the view doesn&apos;t require a hike! 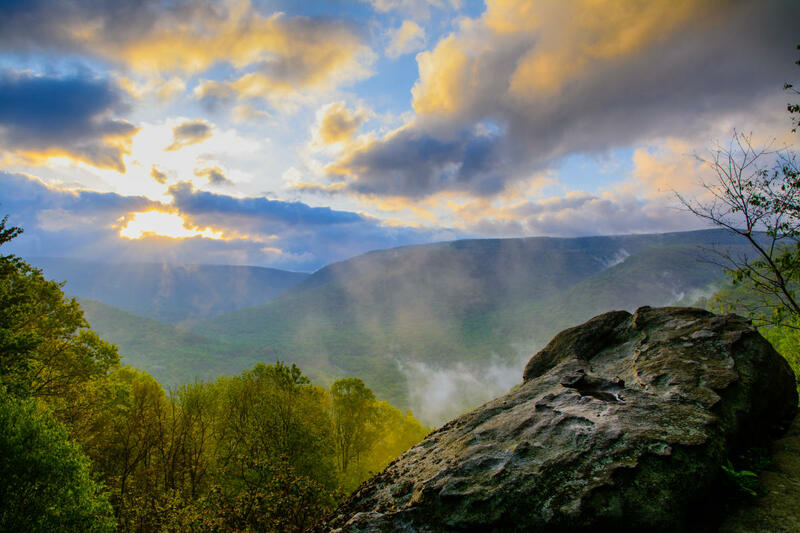 Take a short drive from Main Street in Ohiopyle to the parking area, just a few yards from the rocky overlook. Or you can choose to hike the steep, difficult mile-and-a-half trail to the overlook! 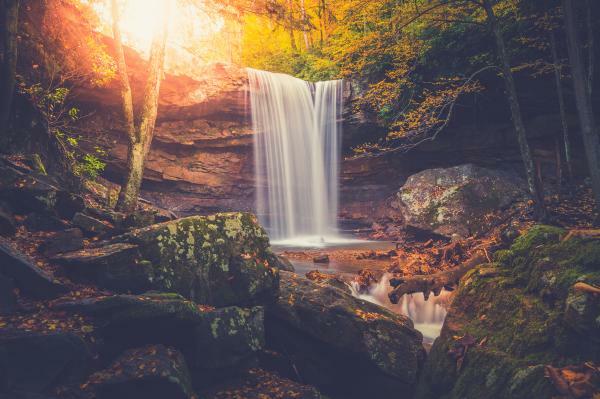 Cucumber Falls in Ohiopyle State Park is one of the most photographed waterfalls in Pennsylvania, and is definitely a "must-see" during your visit. The waterfall is an easily accessible landmark! Park at the Cucumber Falls Trail Head (located off the Ohiopyle/Chalk Hill Road) and take a short path to the falls.